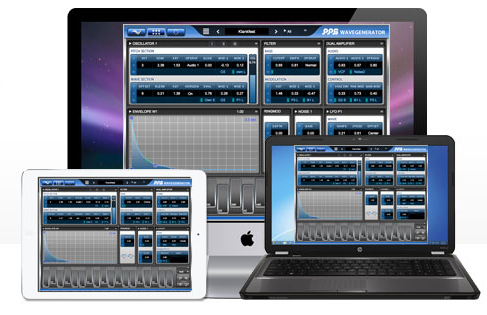 WaveGenerator Mac/PC, Virtual wavetable synth from PPG. You can now run to Wolfgang Palm’s online store to get the WaveGenerator VST synth for Mac and PC. We didn’t have to wait too long after the announcement a few days ago (see this news). 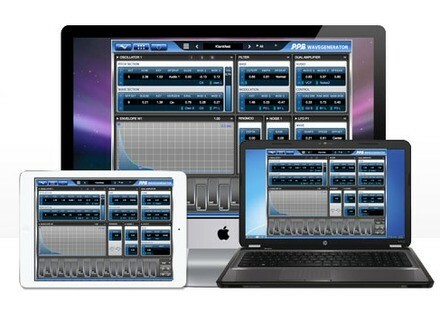 The PPG WaveGenerator wavetable virtual synth VST for Mac and PC is now available for purchase for the price of 99€ at wolfgangpalm.com. XLN Audio Writer’s Blocks MIDI Pak XLN Audio gives composers seeking inspiration a remedy with the Writer’s Blocks MIDI Pak, a collection of MIDI drum parts. Tek’it Audio launches a drum synth on Windows Syntik-DR, the new virtual instruments created by Tek’it Audio, allows for layering up to 4 sound layers and generate fat synth percussive sounds. Nick Crow Lab updates TubeDriver to v1.3 The Nick Crow Lab TubeDriver free valve amp simulation for Mac OS X and Windows is now available in version 1.3.